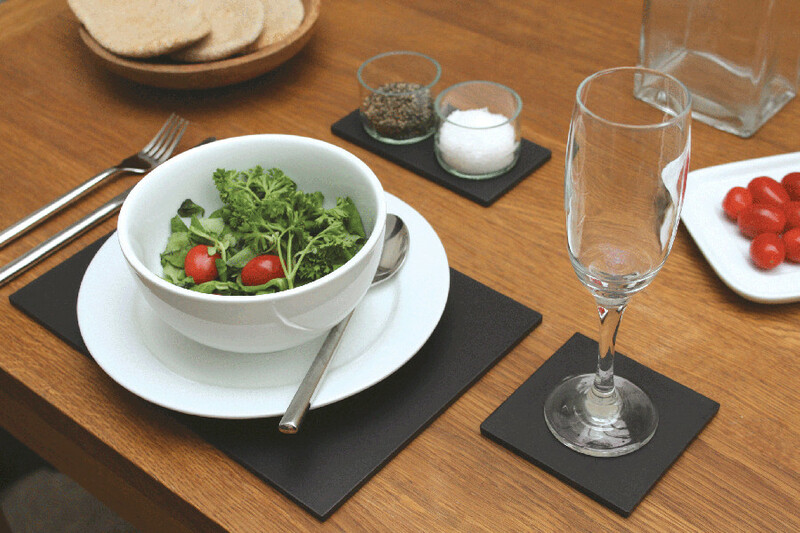 A set of four square coasters made in th UK from recycled coffee cups, designed to look and feel like slate to give your dining room a stylish finish. 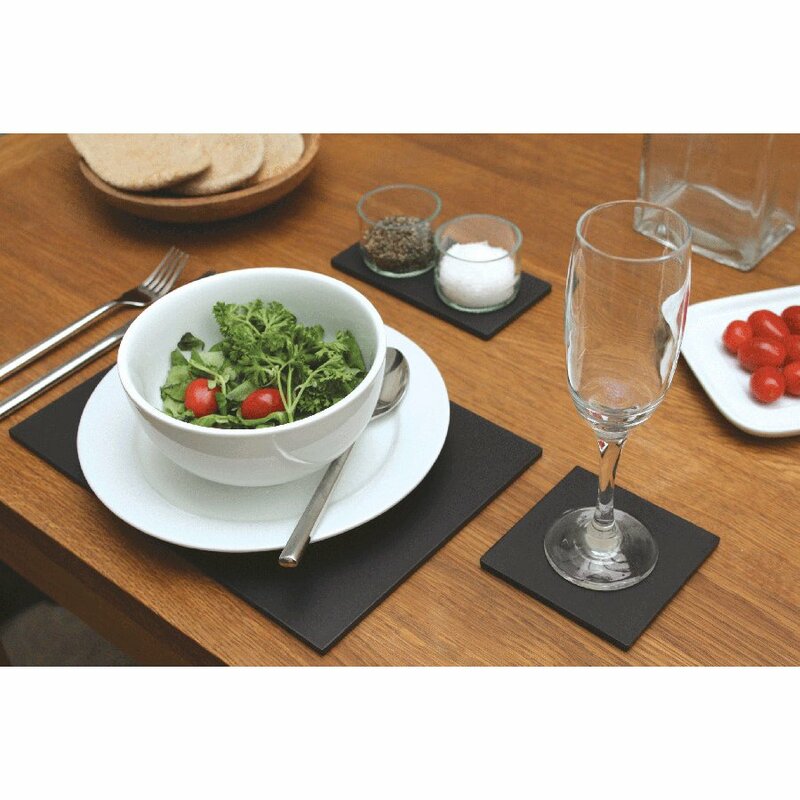 The coasters have a quick wipe-clean surface along with cork feet to protect your dining table. 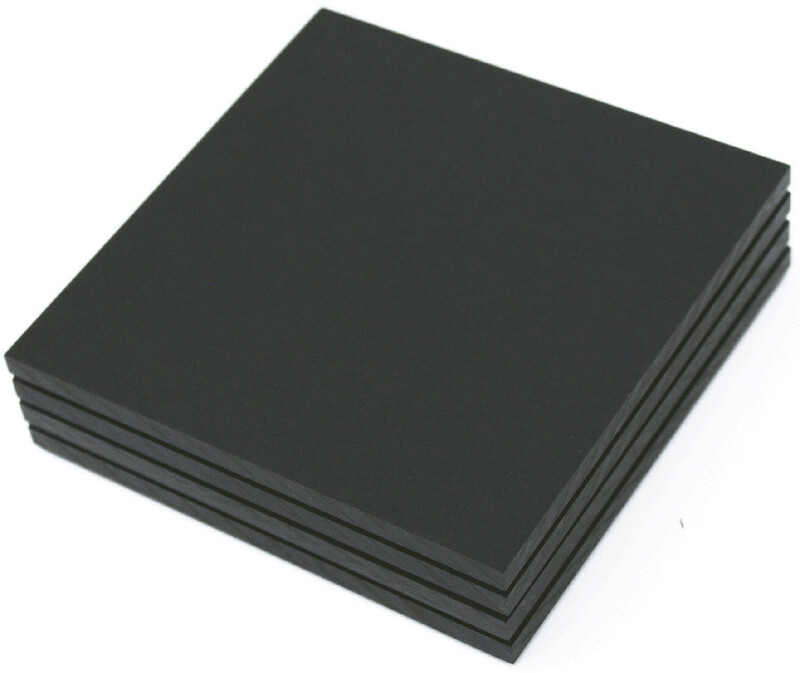 With the ability to withstand temperatures up to 130 degrees they can also be used to protect your coffee table surface when enjoying a cup of tea. Matching placemats available. The ECO Coasters - Set of 4 product ethics are indicated below. To learn more about these product ethics and to see related products, follow the links below. 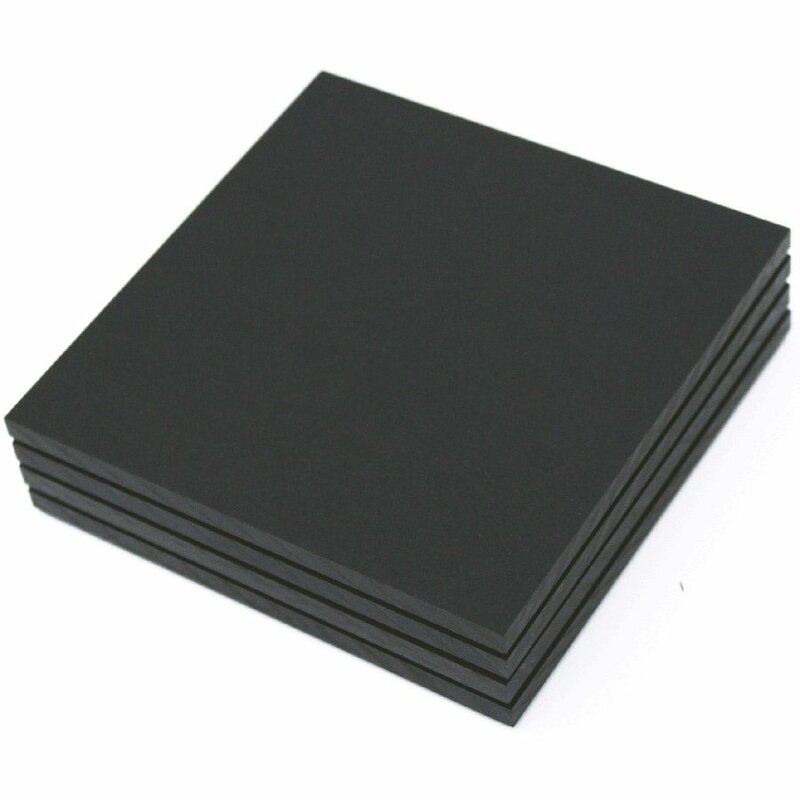 There are currently no questions to display about ECO Coasters - Set of 4. Since 2003, ashortwalk has been using recycled materials to make gorgeous home and garden products, beginning with tide and time clocks they now offer a wide range of ECO products including house numbers and signs along with stylish tableware. The company started when Dan left his previous job as a product designer/inventor at Dyson and started his own business near Truro, Cornwall so he could live only a short walk from the sea. All of ashortwalk’s products are made from recycled materials such as coffee cups, plant pots and now even paper packaging, the materials that otherwise may not be recycled, and are collected through schemes pioneered by the company.